The Soviet health care infrastructure and its tuberculosis-control system were anchored in biomedicine, but the dire resurgence of tuberculosis at the end of the twentieth century changed how experts in post-Soviet nations--and globally--would treat the disease. As Free Market Tuberculosis dramatically demonstrates, market reforms and standardized treatment programs have both influenced and undermined the management of tuberculosis care in the now-independent country of Georgia. The alarming rate of tuberculosis infection in this nation at the crossroads of Eastern Europe and Asia cannot be disputed, and yet solutions to attacking the disease are very much debated. Anthropologist Erin Koch explores the intersection of the nation's extensive medical history, the effects of Soviet control, and the highly standardized yet poorly regulated treatments promoted by the World Health Organization. Although statistics and reports tell one story--a tale of success in Georgia--Koch's ethnographic approach reveals all facets of this cautionary tale of a monolithic approach to medicine. This book is the 2011 recipient of the annual Norman L. and Roselea J. Goldberg Prize for the best project in the area of medicine. Erin Koch is Assistant Professor of Anthropology at the University of Kentucky. "Free Market Tuberculosis is a novel, critical exploration of tuberculosis control in a nation undergoing economic and cultural transition in the early twenty-first century. Koch ably demonstrates the clash of local culture and international philanthropy, focusing on the potential failures that can result, with life-and-death consequences for patients. This book will be of interest to scholars and experts in a number of fields, including medical anthropologists, political scientists, area studies experts, employees of international aid agencies, and historians of medicine." "Koch shows that the story of tuberculosis in Georgia today is one of structured uncertainties and competing logics of expertise amid the implementation of market-based health service, all of which are embedded in a vibrant culture of medicine that significantly predates the Soviet period." "This book offers important insights about the need to identify specific sociocultural and political contours of both epidemics and management strategies, and to explore where things might be improved upon in this context. 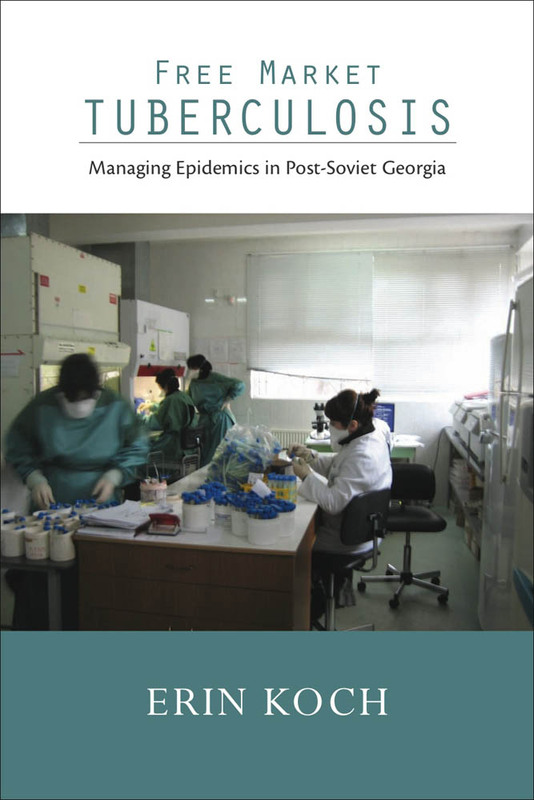 In post-Soviet Georgia, we are witness to the successes and failures of tuberculosis treatment protocols as the political and economic demands of a globalized laboratory meet up awkwardly with local clinical conditions and patient populations in ways that make standardized protocols ultimately fail."